The Dordogne Area of France - A British Favourite ! The Dordogne département is found within the Aquitaine region of the southwest corner of France. The region is often referred to as Périgord, a name used for the region before the French revolution. It is a lovely area to visit and there is much to see as well as just taking in the lovely countryside. The rocks of the area are made of limestone, a relatively soft rock, and rivers have cut through the rocks leaving fantastic cliffs and vast systems of caves. Some of these caves have been found to contain prehistoric cave paintings. The area is famous for its cuisine, including truffles and foie gras and you will also find that duck and goose are a favourite in this region. There are many chateaux to visit in the Dordogne. The Dordogne is just inland from Bordeaux, which is famous for its wine ! There is a famous dessert wine produced at Monbazilac, and cheap, drinkable reds are produced around Bergerac. There are many places you may want to visit including the Lascaux caves, the Marqueyssac gardens, medieval Sarlat, Chateau Castelnaud, the prehistoric caves in the Vezere Valley and the Gouffre de Padirac caves. If you are energetic, you may want to try canoeing the Dordogne. There are also lovely towns and villages to visit with the most popular being Bergerac, Brantome, Excideuil, La Roque-Gageac, Le Bugue, Riberac, Rocamadour and Sarlat. Cave Paintings - The famous Lascaux caves The original Lascaux cave was closed to the public in 1968 to preserve it but a brilliant replica has been built 200 metres away. Everything has been reproduced as accurately as possible, including the temperature which is kept at 13 degrees C. The animals depicted in the paintings are mainly horses, deer and bulls. The caves are one of the most renowned archaeological discoveries of the 20th century. They were discovered in 1940 by teenagers when one of their dogs chased a rabbit into the caves. 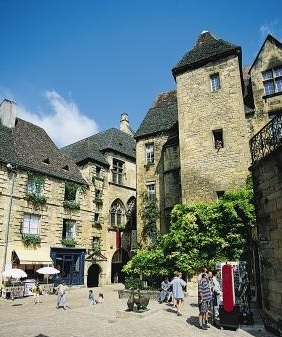 Sarlat is the capital of Perigord Noir. It has 1,000 years of history in its buildings, with fine examples of medieval and renaissance buildings built in the yellow limestone with grey roofs that is typical of this region. Another fine example of architecture is the cathedral, which was erected in the reign of Henry IV. There is an excellent market that takes place on Saturdays in Sarlat. It takes place in the "Place de la Liberte" marketplace which is surrounded by mediaeval buildings. The market stalls also stretch down the Rue de la Republique. The market stalls with their colourful canopies sell a selection of local produce including foie gras, walnuts, wine, cheese, mushrooms, bread, pastries, herbs, spices, fruit and vegetables, sausages, cakes, biscuits, oils, vinegars, wine and, depending on the season, possibly even truffles! The smells and tastes of the food make this a must on a visit to this area. There is also a smaller market on Wednesdays, mostly in the area around the Place de la Liberte, and there is a covered market daily in the former Saint Marie church also on the Place de la Liberte. Sarlat has a Christmas market in December and in January or February there is also a truffle and foie gras market at the Place Boissarie on Saturdays mornings. It is well worth a visit to this fantastic village built on a hillside. You can visit the old town of Bergerac with its 14th, 15th and 16th Century buildings. Europe's largest private aquarium with more than 30 separate aquariums displaying over 3,000 fish from all around the world. The most popular château in southern france. Built high on a hill in the 13th century it changed hands many times. The Château has been home to the Museum of Medieval Warfare since 1985 where you can view such things as siege equipment and trebuchets. Demonstrations of the trebuchet are sometimes given in the summer which should prove popular ! There is a magnificent view from the chateau over the Dordogne Valley. Restaurants shops and picnic area. This is found to the south of Le Bugue, near the village of Audrix. You can view the stalactites in this impressive cave as well as some interesting crystalline formations. It is in a spectacular position, high in a cliff, and can be accessed by a man-made tunnel. The National Museum of Prehistory which reflects ever expanding archeological research. It is the most important collection of items from the Paleolithic era in France. Theme park which traces the evolution of man from 1500BC. You can watch craftsmen using only the tools which would have been available at the time. Situated 7 km from Montignac this centre is a valuable first stop before visiting the numerous prehistoric sites in the Périgord. You can view animals here which are similar in appearance to the species which lived in the wild in this region during the Upper Paleolithic Age and which you are likely to see when viewing the art of that time in cave paintings. You will be able to see animals such as reindeer, the European bison, the aurochs, the Przewalski horses, the Tarpan horses, the ibex, the red deer and the fallow deer. 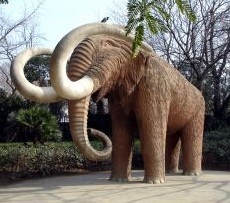 There are also replicas of extinct species such as the mammoth and woolly rhinoceros. There are often activities to take part in such as art workshops and replica archaeological digs. The same website will also show canoe hire on the Dordogne River with Copeyre Canoë, who offer various options to canoe along the river. There are also details of a corn maze "The Labyrinth of the Hermit", 10 minutes from Sarlat. The "hanging" gardens in the grounds of the Château de Marqueyssac are some of the best kept gardens in France. They were modelled on Italian gardens by Julien de Cerval who inherited the property in 1861. There are 6kms of walks and wonderful views. There is a candlelit walk which takes place in July and August on Thursday evenings. Old home of Josephine Baker the famous musical hall singer. Built 1489 in a wooded region between Castelnaud & Berbiguiéres. Falconry displays several times per day. Restaurant on site. Night flights to observe the chateau from the house's own captive hot air balloon. One of the most prestigious châteaux in southwest france, classified as a historical monument. Built between 1630 and 1670. Surrounded by superb gardens. Visit this chateau with its vineyard and its fantastic views over the Dordogne Valley. 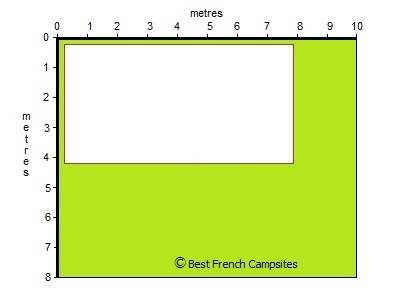 French Campsite Pitches and Emplacements - is 80m² enough for you ? However, pitch size can vary from a minimum of between 80 m² to 100 m² to well over 100 m² right up to a maximum of about 200 m². It can depend on location. Campsites in prime tourist spots near the beach etc. often have smaller pitches are smaller, whereas, you may find spacious pitches in some more rural campsites. We have seen mobile home pitches where you if you park a car on the pitch you only have room left for your table and chairs and little else. For me that is less space than you might expect. And if you are taking young children with you then you might want more space. If you do find yourself in this situation you may be able to use a car park elsewhere in the campsite but it's not ideal. Another thing which you may wish to consider is whether the pitches have hedges between them to give some privacy. Many campsites have been established for a number of years and the hedges and trees have grown to maturity and provide privacy as well as shading from the hot sun. Read the campsite descriptions carefully - Eurocamp often give descriptions of what type of pitch you can expect. Château Le Brevedent, Pont L'Eveque - Pitch size: 80-100m². Château de Galineé, St Cast - Pitch size: Greater than 100m². 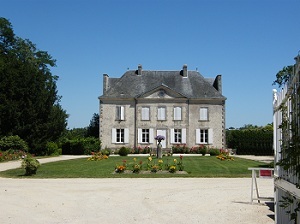 Les Deux Fontaines, Nevez - Pitch size: 100 -170m². Bel at La Tranche Sur Mer - Pitch size: 80 - 100m². Le Clarys-Plage - Pitch size: 80-150m². Château des Marais, Chambord - Pitch size: 80-100m². International Pitch Size : 80-100m². 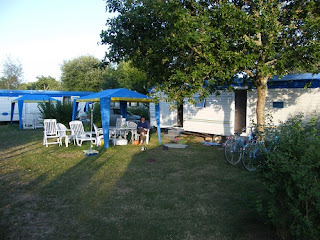 We chose to holiday in the Vendée last year, 2010. We had decided to move further south from Brittany which we loved, in search of just a little more sunshine for our summer holidays. We had heard that the Vendee has a sort of micro-climate with as good a record for sun as the Cote d’Azur. We were certainly granted our wish as we arrived in the middle of a heatwave which lasted most of our holidays. We had decided to stay at the “La Garangeoire” campsite which is situated in the green countryside 15 minutes drive inland from the popular tourist coastline of the Vendée. The Vendee is famous for its 140 km of excellent wide beaches and its popular tourist resorts. However as we ventured out on walks from our campsite and further afield in the Vendée by car, we began to learn some of the fascinating history of this region, much of which was unknown even to French people growing up in the region until a few years ago when the history was re-discovered and stories which had been hidden were passed on to a new generation. The "Vendée" is named after the river which runs through the south-east of the département. The area today called the Vendée was originally known as the “Bas-Poitou” and is part of the former province of Poitou. The River Vendee crosses the forest of Mervent then flows through the town of Fontenay-le-Comte, the old capital of “Bas Poitou”. Napolean changed the region to be called the Vendée after the French Revolution of 1789 and he decided that the capital should become La Roche-sur-Yon from where his soldiers could control the Vendéans more easily. The river meanders on through the marshes to meet the Sevre Niortaise, and turns west to meet the sea in bay of l'Aiguillon. The main seaside resorts of the area are St-Jean-de-Monts, St-Gilles-Croix-de-Vie, Les Sables-d'Olonne and La Tranche-sur-Mer. in the east of the Vendée, with its five fantastic shows during the daytime “Grand Parc”, which is packed with fun for all ages, including a Roman amphitheatre with chariot races and gladiators, falconry displays and recreated villages from several different periods of history or you can go along to the breath-taking night-time son-et-lumière spectacle, known as the Cinéscénie. Visitors to the Vendée can also enjoy are a day on the tranquil waterways of the Marais Poitevin, or Venise Verte ("Green Venice"), in South East Vendée. You can hire boats and punts to explore this area in the villages of Velluire, Vix, Damvix and Maillezais. Maillezais also offers a good restaurant next to the boat hire as well as the ruined abbey to visit. There are also some lovely islands to visit off the Vendéen coast, all with a different character. You can journey across the incredible causeway that links the island of Noirmoutier (north-west of the Vendée) to the mainland at low tide or visit the popular Il de Ré which is reached by bridge from La Rochelle, or by boat from some of the coastal resorts. It has a charming port at St Martin-sur-Re (see photograph to the left), beaches, restaurants, lighthouse to visit and is well known for its many cycle routes in the salt-marshes. The history of the Vendee goes right back to prehistory with various ancient burial stones etc. The Romans then settled in the area and in fact there was an old roman road going through our campsite at La Garangeoire. In the south-east corner of the Vendee, the village of Nieul-sur-l'Autise is believed to be the birthplace of Eleanor of Aquitaine (1122-1204) and was part of her kingdom. Eleanor's son, Richard I of England (the Lionheart) often had his base in Talmont. The Hundred Years' War (1337-1453) turned much of the Vendée into a battleground. There were a considerable number of influential Protestants in the Vendee and the region was greatly affected by the French Wars of Religion which broke out in 1562 and continued until 1598. Eventually King Henri IV issued the Edict of Nantes and the Wars came to an end. The revocation of the Edict of Nantes in 1685 caused many Huguenots (French Protestants) to flee from the Vendée. Moving to slightly more recent times, the main period of French history which you may be familiar with is the French Revolution. If you are a bit sketchy about your history like me then what you might know of the French Revolution was that the peasants revolted against the upper classes. Louis VI and Marie Antoinette were the rulers at the time. The country fell into the hands of the Emperor Napoleon and from that era we have the saying of France “Liberté, Egalité and Fraternité” (Freedom, Equality and Brotherhood). 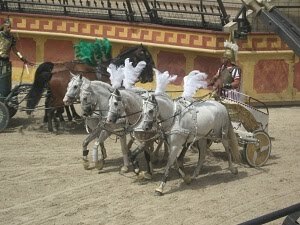 There is much to discover about the history of the Vendée and in fact there is a display at the Puy du Fou theme park showing this era. In fact many locals are only now discovering about their history, a history which was not taught to them at school and they are discovering more about the 100,000s of Vendeens who were massacred at that time. At that time, class differences were not as great in the Vendée as in Paris or in other French provinces. In rural Vendée, the local nobility seems to have been less bitterly resented than in other parts of France. Many people in this area of France also had a strong adherence to their Catholic faith. The Vendéen peasants initially fought on the side of the revolutionaries but they resented the changes imposed on the Roman Catholic Church by the Civil Constitution of the Clergy (1790) and eventually broke into open revolt in defiance of Napoleon’s Revolutionary Government's military conscription requiring Vendéans to fill their district's quota of 300,000 in March 1793 as they wanted and needed to return to their farms to continue their labours The populace took up arms as "The Catholic Army", "Royal" being added later, and fought for "above all the reopening of their parish churches with their former priests. This guerrilla war, known as the Revolt in the Vendée was led at the outset by an underground faction called the Chouans (tawny owls). However Napoleon finally got wind of this and sent his forces to sort it out. Initially the Vendéens had the upper hand as they were familiar with their land and the twisty lanes and high hedges. They also used the windmills which were throughout the area to send signals from village to village. The windmill sails were used to send signals across the countryside by being set either vertically or horizontally meaning either safe or watch out troops coming. However, eventually Napoleon sent his forces in columns through the land, burning and pillaging as they went. Many were killed and captured and to this day the Vendéen countryside bears the scars with low population and very few old houses remaining from those times. 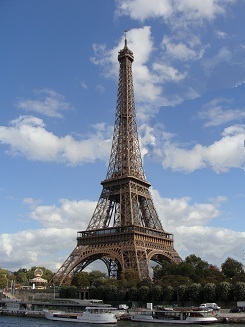 Examples were made of the people and thousands were taken to Paris and thrown in the Seine. The people had managed through this to try and hide their priests and this is tied into the history of this time. By the end of 1796, more than 100,000 Vendeens had been killed. 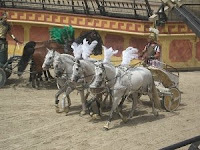 Much of this history can be viewed in displays at the excellent Puy du Fou historical theme park. In the 19th Century, the wild coastline of the Vendée was tamed when pine forests and grassland were planted to stabilise the sand dunes and with the rise in popularity of sea bathing, holidaymakers began to come to the Vendée. With the arrival of the railway in 1936, the popularity of the Vendée as a tourist destination was beginning to increase ! 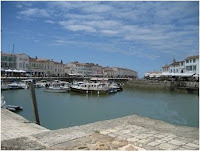 There is some history of fishing at St Gilles Croix de Vie, where sardines were a popular catch. The “label rouge” sardines from St Gilles Croix de Vie, fish from Les Sables d’Olonne and eels from the nearby marshes are all served in all the best restaurants along the coast. You can find out about the fishermen from Morroco who lived here and brought their talent for fishing to the area. Apart from this, the Vendeen people did not have a great history of fishing, and tended to see the sea more as a threat with the constantly shifting dunes. You will also see the Vendée-Atlantique oyster being produced in oyster beds all along the coastline and particularly in the Baie de l’Aiguillon and also on the Il de Ré. Another industry you will see in the Vendée makes use of the extensive salt marshes to harvest salt. The Vendée was once the Western world’s main salt storehouses. Salt was a valuable commodity in times pre-electricity when it could be used as a preservative for meats. Salt from Brittany and the Vendee were traded as a commodity. Nowadays salt production still carries on at Les Jardins des Salines in the north of Les Sables d’Olonnes. The skills have been passed down through the generations. The marshes and salt flats are cleaned out over the winter and then early in the year the sea water is brought in. The water then evaporates with the higher temperatures of the summer and salt crystallises out and can be harvested. The clays of the soils give rise to some trace elements in the salts and give the salt its distinctive grey colouration. However the most prized salt is that which crystallises on the top and is called the “fleur de sel”. You can go on boat trips to see what is going on. These marshes are also home to some wonderful birds and there are bird sanctuaries and the area is very popular with ornithologists. The Vendée also manages to produce some very fine wines from the sandy soil which can be very hard to dig. 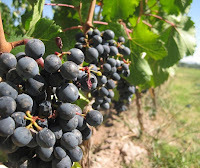 However the long days of sunshine lead to wonderfully ripe berries and some lovely wines. In 1984 they were given the appellation “Fiefs Vendéen”, which covers red, white and rose wines which have been produced in the region since roman times. The wines are produced today from a variety of grapes which are suited to the locals soil and ground and the relatively cool maritime climate. The reds are made predominantly from Gamay and Pinot Noir, complemented by Cabernet and Negrette grapes. The whites are made from Chenin Blanc, Sauvignon Blanc and Chardonnay. The appellation is broken down into four sub-zones named after villages at their centre : Brem, Mareuil, Pissotte and Vix. None of these villages are further than 20 miles from the Atlantic coast and the climate plays a big part in the style of these wines, which are generally slightly lower in alcohol and sweetness, but fresh, crisp and with noticeable acidity. We enjoyed trying some of the red wines last year and the shop at “La Garangeoire” stocked some good examples, including some Fief Vendeen wines. I also brought one home to keep for Christmas - to get a reminder of sunny Vendee in the middle of our British winter ! Since 1989, the famous Vendée Globe round the world yacht race has set off every 4 years from Les Sables d’Olonne. So if this all appeals to you then why not think of visiting the Vendée next year. I can recommend three campsites in the area, all with very different characters. To the north, on the coast at St Jean de Monts you will find the busy campsite of Le Clarys Plage right in the heart of one of the main tourist areas. Inland in the quiet of the lush green countryside yet only 15 minutes drive from the coast is La Garangeoire where we stayed. And if you would like to be based in the Southern Vendée then Bel campsite at La Tranche Sur Mer is a lovely base, near the beach and is ideal as well if you have a young family. We enjoyed our trip through the Vendeen countryside and as it was mostly under trees we were sheltered from the heat of the afternoon sun. However, be warned ! We were given two and a half hours to travel the 10 kms to Coex and the 10kms back. At Coex, the velo carriage can turn on the turntable. It would be easy to blame the elderly travellers in front but in fact I don't think we could have made the journey in that time without an Olympic effort. And in High Season you get even less time for the journey. So, what you have to do to return to Commequiers is to lift the whole velo carriage off the track and turn it ! The same is the case if you meet a carriage travelling in the opposite direction - the one travelling from Coex has priority ! 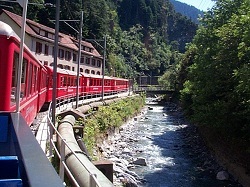 We struggled as a group of four to lift the carriage so if you are travelling as a couple of adults, unless you are very strong, you would have to hope you meet at least two strong adults travelling in the opposite direction... 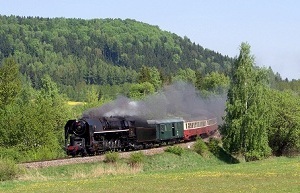 So, if you try out a Velo Rail, enjoy your trip but make sure and find out a bit more about it beforehand or you may become a case of "The next train to Commequiers is half an hour late !" We have just passed the 70th anniversary of the D-Day landings in Normandy on 6th June 2014. A historic anniversary. 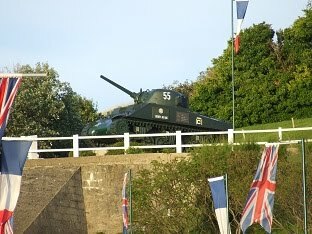 We have visited some of the sites along the Normandy coast and inland and also have visited the cemeteries. It is well worth a visit either from a purely historical point of view or you may well have family members who were involved and you would like to track down their history. You can visit these D-Day landing beaches along the North coast of Normandy, all situated on the stretch between Cherbourg and Deauville - they were named Utah (USA), Omaha (USA), Gold (UK), Juno (Canadian) and Sword (UK) beaches in the War. And also the Arromanches landing harbour which was historic and you can still see the remains of out at sea today. Then you can also visit Pegasus Bridge which was featured in the film The Longest Day. The family who run the cafe next to that are actually descended from those who owned the cafe on D-Day and who tended the wounded. You can visit the Caen memorial museum (huge). And the Bayeux Museum is interesting and has quite a few mementoes which are more personal which always brings it all home to you more. The Dordogne - Where Should Holidaymakers Visit ? Or is there somewhere else you would recommend a visit ? The Dordogne is a big favourite with the British, both expats and holidaymakers and has cringe-ingly been nicknamed "Dordogne-shire" by some ! But it is an area steeped in history, with famous prehistoric cave paintings to see, historic chateaux and mediaeval towns to visit plus it has a great track record for hours of sunshine and it is home to some of the best campsites in France such as Les Peneyrals and Le Bugue at St Avit Loisirs. Here are some of the hotels we have stayed at before catching an early morning cross channel ferry to France. We have listed hotels in Poole, Portsmouth and Plymouth. Can anyone send us recommendations for Dover or the other ports ? We like the Premier Inn type hotels, lowish budget, clean hotels which are reasonably close to the ferry ports. The Premier Inn at Holes Bay which is nice as it looks out over the sea so you feel as though you are already on holiday - it also has a nice restaurant with a well stocked collection of wines in the bar! http://www.premierinn.com/en/hotel/POOHOL/poole-centre-holes-bay Although does not take dogs. The Salterns Hotel at Poole - We were very pleased to discover this one as its a very nice hotel and is adjacent to a marina. It involves a short drive through Poole to get to the ferry port - check with hotel for timings. 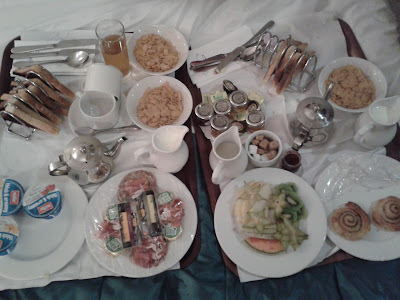 They delivered the following breakfast (see photograph) to our rooms at 5am, as we were catching the 7am ferry - pretty good work for that early in the morning ! Thoroughly recommended. They have a suite room which is ideal for a large family group, and they also allow well behaved dogs. We can also recommend the South Lychett Manor campsite if you are looking for somewhere to stop over with your caravan near Poole : http://www.southlytchettmanor.co.uk/index.html. We also enjoyed eating at the Baker's Arms pub. If you want to stay a little out from the centre of Portsmouth then the hotel which we stayed at when it was an Innkeepers Lodge but is now a Travelodge is called Portsmouth Hilsea : http://www.travelodge.co.uk/hotels/info?hotelId=479 This was a nice hotel when we stayed at it. It had a Toby Carvery which was excellent and may allow dogs. Does anyone have any other recommendations ? Does anyone have recommendations near Dover/Calais ? France Motorhome Hire provides reliable and carefully maintained motorhomes and campervans for English speaking visitors wishing to explore France & Europe. 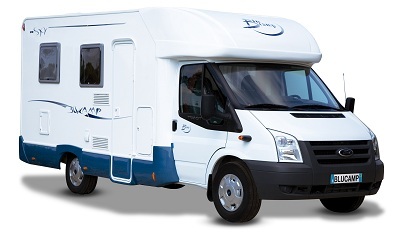 If you’re looking for an English-speaking motorhome company who’s centrally located in France, look no further! Who is France Motorhome Hire? Launched in 2009, France Motorhome Hire is run by English owners Phill and Hannah Spurge, who have lived and worked in France for over eleven years providing holidays in France for English speaking clients. France Motorhome Hire offers great customer service from a team with unrivalled experience of France and motorhome trips. 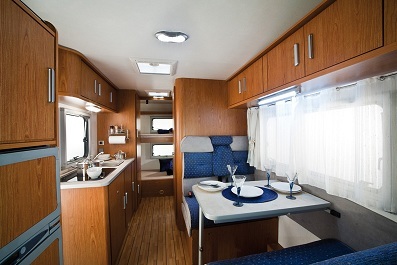 Long-term campervan hire solutions are also available. Why book with France Motorhome Hire? 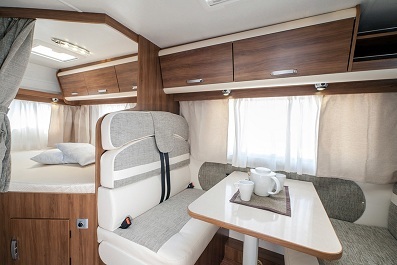 Aside from being renowned for delivering exceptional customer service, France Motorhome Hire operate their own fleet so you deal directly with the team who hand over your vehicle on arrival. 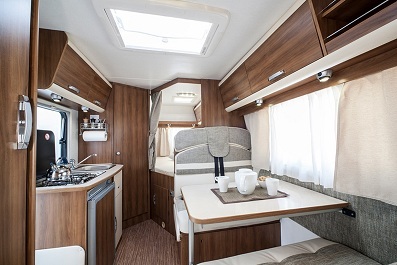 Whether you are hiring a motorhome for the first time or have lots of experience, France Motorhome Hire aim to provide you with the cleanest, best equipped and most reliable motorhome you will ever hire. If you hated learning a foreign language at school, don't despair ! There are some fabulous online resources which make learning fun and you can find something to suit you, whatever level your language learning is at. And, these resources are all free ! We have picked out a few of our favourites here but if you find any others to recommend please let us know - you can comment here. The BBC Language resources are also very extensive and offer something for every standard of learner ! If you really only want to get away with the absolute minimum of French then here are the 10 essential phrases to make life go just a little more smoothly while abroad ! You can even listen to how they should sound. And then there are online dictionaries too which offer all sorts of help and you can listen to the words and phrases here too !